The Samsung Galaxy S4 came out with a with a 5.0 inch screen with 1080x1920 pixel display. It is powered by 2GB RAM and comes in different storage options of 16GB/32GB/64GB. In terms of the display, the phone looks very similar to its predecessor – the Galaxy S3, both are made from the same plastic material, which doesn’t make for either very aesthetically pleasing looks as opposed to its competitors. However, at a close-up you realise that S4 is slightly more thinner than S3. The device’s 13MP rear camera had a great performance. It delivered great pictures in artificial as well as broad daylight, the pictures that came out were also very close to actual colour reproduction. However, it has been a long time since the phone came out, with very little value in the market right now. But you can get attractive rates for it if you sell on Cashify! 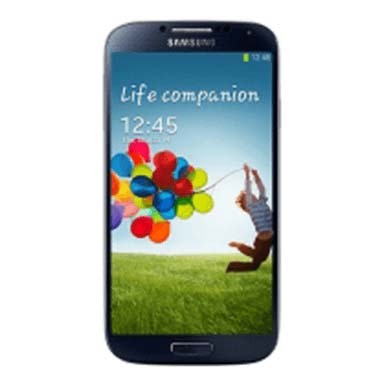 Why Sell Your Samsung Galaxy S4 On Cashify? Cashify is the ideal option to sell your old Samsung Galaxy S4 or any gadget online for that matter. Its automatic pricing mechanism is touted as the best in the market. This price mechanism generates the best price to sell your old phone , which happens because of Cashify’s exclusive partnership with Smartphone giants like Xiaomi, OnePlus, and even Apple. Just head over to Cashify’s website and type in the model of your phone. Cashify’s automated, transparent pricing mechanism will need you to enter in some details about your old smartphone – model, warranty, condition etc. On the basis of the specification added by you, it offers a fair price for your old phone. Once the customer accepts the price, it arranges a doorstep pickup and payment. Cashify believes in the customer comfort. One of our agents will come to pickup the old phone and make payment in any desired method of your choice. Payments can be made in cash, cheque, or even e-wallets. It has been a considerable amount of time since the launch of Samsung Galaxy S4, however you can still sell your old mobile online for a good value, thanks to Cashify. Try your luck at Cashify now!